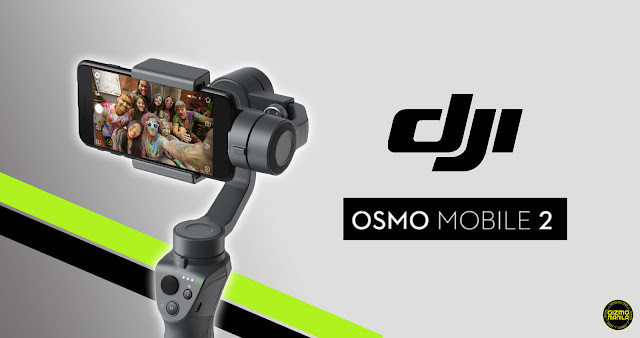 Home / dji / gimbal / osmo / smartphone / DJI Osmo Mobile 2 now available at P7,900. DJI Osmo Mobile 2 now available at P7,900. smartphones, it can give consumers, professional videographers and photographers new tools to capture smooth, steady videos and stunning photos wherever they go. Osmo Mobile 2 is made from high-strength modified nylon and features a folding design that makes it perfect for all-day use. The two-way mobile clamp lets you easily pivot between landscape and portrait orientation so that you can chose the most engaging full-screen format for your audience. In addition, a 1/4” universal screw mount ensures compatibility with your favorite photography accessories, making Osmo Mobile 2 more versatile than ever. Smart software in the DJI GO mobile app unlocks intelligent photo and video features that help you create professional-looking content automatically. Videographers can use modes including ActiveTrack to automatically follow of subjects in motion, Motion Timelapse with up to five different camera positions, Hyperlapse to create dramatic time-lapse videos with the camera in motion, or stream live to popular social platforms like Facebook and YouTube. Photographers can expand their creativity with options such as Panorama, Long Exposure and LightTrail modes. Osmo Mobile 2 retails at PHP 7,900 (154 USD) and is locally distributed by MSI-ECS. To buy the new Osmo Mobile 2, call (02) 688-3512 or email marketing@msi-ecs.ph.